When indoor space is limited, a rooftop package is the optimal choice for heating and cooling. The entire unit can be conveniently located on the roof, where it’s well ventilated. Rooftop package units eliminate the need for piping and control wiring between the outdoor part of the system and the indoor equipment. Rooftop package units are easily replaceable. They can be removed from the roof by lifting it off and putting new equipment into the exisiting unit position. Indoor split systems and other indoor equipment can require various forms of reconstruction, from demolition of the ceiling to cutting into the building’s structure, due to the necessity of re-piping the refrigerant lines in seperation of control wiring during the replacement process. Rooftop package units also offer the energy saving benefits of free cooling. 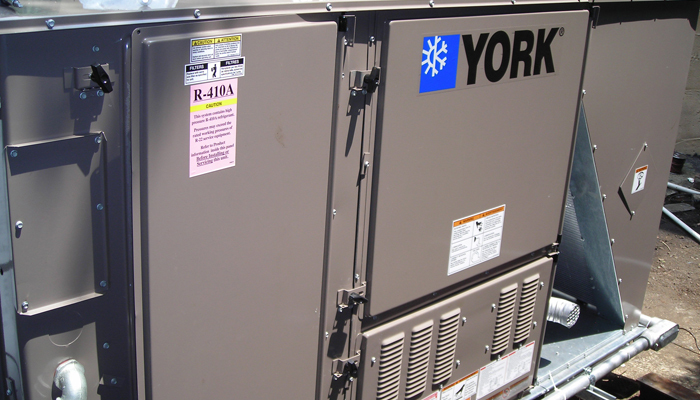 These units have full access to outdoor air and can be equipped with an economizer system providing full access to 100% outside air into the building. When outdoor temperatures and humidity is most suitable for cooling, energy consumption is reduced because the building can be effectively cooled without the use of the system’s compressor. This also allows for fresh air to be circulated in the building, reducing the use of circulated stale air which can carry odors and bacteria. 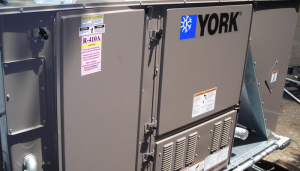 Rooftop package units can be outfitted with a reverse cycle heat pump, providing both heating and cooling when there is no gas or fire service available to the roof.